Most of the time they are boring, tasteless, and leave you feeling hungry -- and they can even be harmful to your health. Those trendy high-fat fad diets like Atkins and Sugar Busters are just as bad. 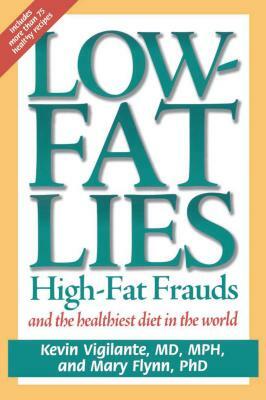 Now, this book gives you the truth about food and fat, and the key to losing weight while staying healthy. Doctors Kevin Vigilante and Mary Flynn expose the dangers of low-fat diets, take on the high-fat fraud, and show how you can adopt the healthiest diet in the world. Say good-bye to fad diets forever. You will learn everything you need to know to take control of your own health and enjoy real food again.